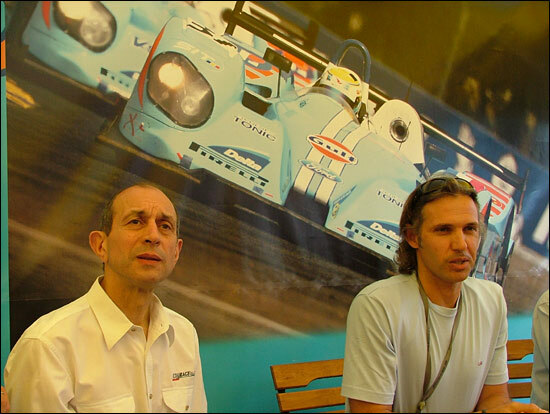 Plans for the 2007 season for Paul Belmondo Racing are coming together rapidly – and confirmed with the announcement today by the Team Principal. The French team will become the first European customer for the Courage LC75 (after the delivery of what is currently a single car order (with the possibility of a second chassis to come) for the ALMS Acura engine programme. The other big news is that the Belmondo cars will be fuelled with E85 bio ethanol, with the oldest of the team’s three Courage C65 chassis (No 6) due to be converted as a test car by October. There is still plenty up in the air for the programme however. A decision is imminent on engine choice, which is between a normally aspirated V8 (presumed to be Mechachrome) and a turbocharged 4 (presumed to be AER). Decisions are also due imminently from both Gulf and Ford on continued backing for the effort, with Paul Belmondo confident that both will remain on board. The bio-ethanol / Courage LC75 programme is currently envisaged as a three year project, an entirely in-house affair with no involvement from Nasamax, the only other team which have so far had Le Mans experience with bio-ethanol. On the issue of whether the decision was motivated by politics, philosophy, or personal or commercial motivation, Belmondo was very specific.